In 2006, the Washington State Legislature passed the Felony DUI law in 2006 in response to public pressure to punish DUI offenders with prior DUI convictions. This new law makes DUI’s (hyperlink to Physical control page) a Class C felony crime, as opposed to a gross misdemeanor, in certain specific circumstances. If you are been charged with Felony DUI, do not hesitate to immediately contact attorney Alexander Ransom. Prosecutors treat felony DUI charges very seriously. They seek very high bail amounts at the defendant’s first appearance or arraignment and a number of very restrictive release conditions as well. It is a Class C felony to have a Felony DUI if: (1) the defendant has four or more prior offenses within ten years as defined in RCW 46.61.5055; or (2) the person has ever previously been convicted of Vehicular Homicide or Vehicular Assault while under the influence of an intoxicating liquor or drug, or (3) has an out-of-state offense on their criminal history within the last 10 years which counts as a prior offense, or (4) has a prior conviction for DUI and Physical Control DUI under RCW 46.61.502 and 504. Under RCW 9.94A.515, Felony DUI is a Level V Class C felony exposing defendants to 5 years prison and a $10,000.00 fine. Unfortunately, even if a defendant has a “0” offender score with no prior felony history at the time of the incident, his presumptive sentencing range would be 6-12 months in jail. 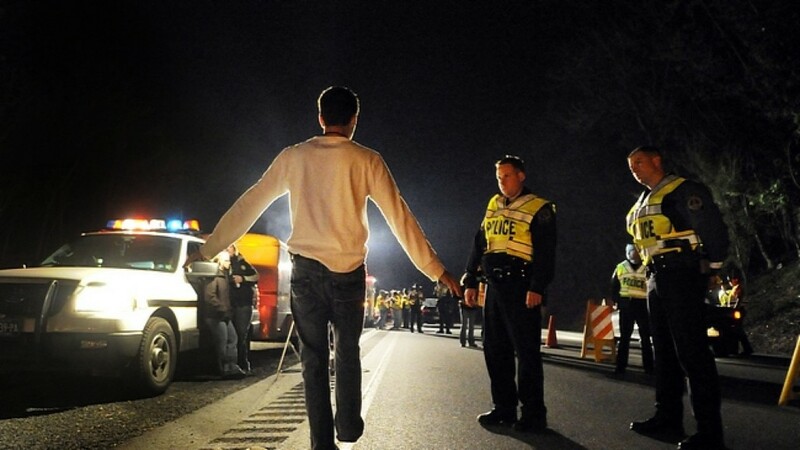 In addition to prison time, a person would also face similar penalties and sanctions as he would with a DUI conviction. These include license suspension, imposition of ignition interlock device, fines, alcohol treatment, and probation or community custody. Alexander always strives to obtain dismissals and/or reductions whenever possible. The most common defenses Grounds for reducing or dismissing Felony DUI’s charges are proving the Prosecution incorrectly counted prior DUI convictions, proving the initial stop was unconstitutional, was unsupported by probable cause, or that the officers have no basis to believe you were driving unlawfully. These arguments can be made at pretrial motions to suppress evidence or dismiss the charges. If you or someone you care about faces Felony DUI charges in Skagit County or Whatcom County, call attorney Alexander Ransom today for a free, no-pressure case evaluation. Alexander has a reputation in the legal community as an aggressive, effective and experienced criminal defense attorney. He is here to assist you through these difficult times.